Architectural Mall, Inc has been enhancing exterior architecture designs with high-quality faux limestone detailing since 2001. 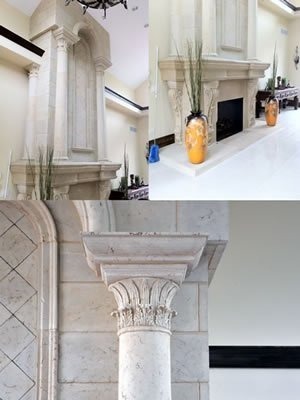 We’re proud of our proprietary mix and production process that creates the texture, feel, and appearance of fresh-cut limestone for half the price. 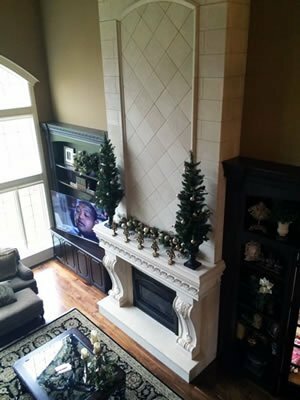 In addition to exquisite exterior details, we also provide interior architectural elements such as fireplace surrounds, range hoods, ceiling elements, corbels, cornice, casing, baseboards, archways, and many more elements that will enhance your home. 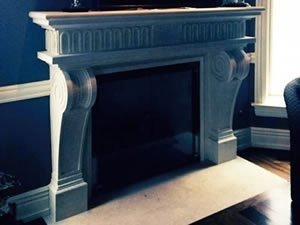 Whether you choose from our extensive collection or enjoy a custom design, our mission is to provide you with your dream home using our American Made products. We have 2 designers / draftsmen on staff full time to help assist you with any designs. 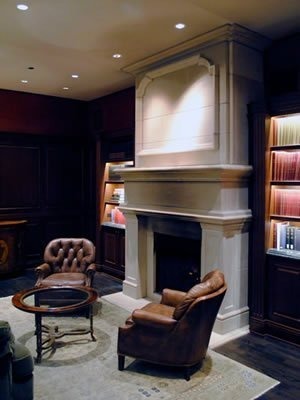 The product is a blend of light-weight cast stone, fiberglass reinforcements, and EPS foam backing. 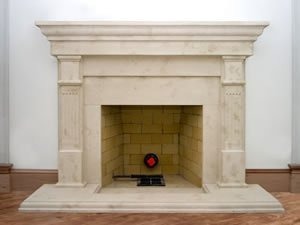 The product is naturally fire rated due to the cementitious mix thus making it safe for use around fire places as well as interior and exterior elements. 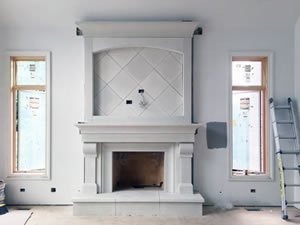 The installation process is a breeze, and virtually any handyman is fully capable of installing this product. 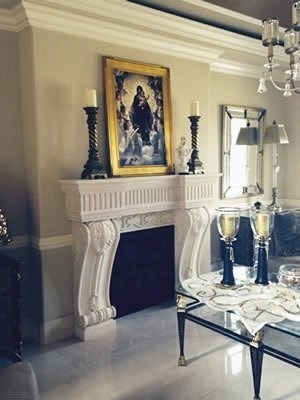 This product is so versatile, that it has been used on casinos in Las Vegas to homes in Arizona and Canada. Since all of our molds are made right in house using EPS foam, our capabilities are limitless without the associated costs of costly molds. 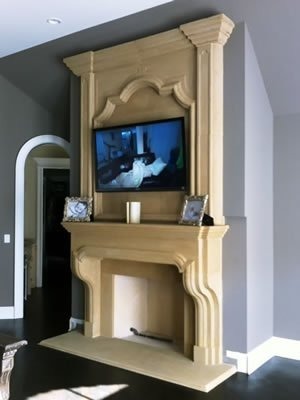 All of our fireplaces are customizable to any size. Feel free to choose from any below, email us for more selections, or send us your image and sizes to get a quote. Choose from our standard colors, or have us match to your selected color. We offer 2 unique finishes, our standard smooth or old world hand packed distressed look. 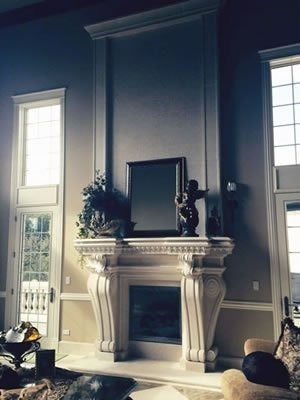 We look forward to designing your dream home!